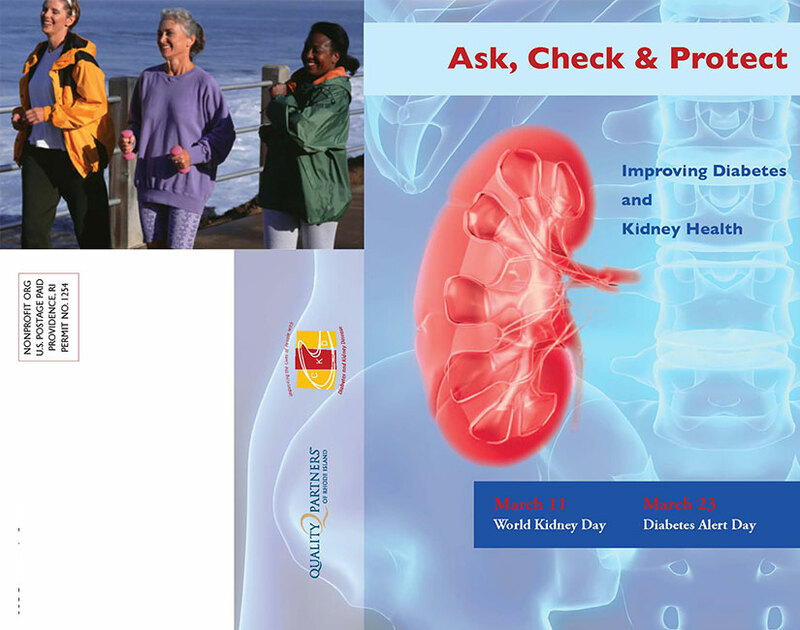 The Ask, Check & Protect brochure was created in support of a chronic kidney disease project sponsored by the Centers for Medicare & Medicaid Services. 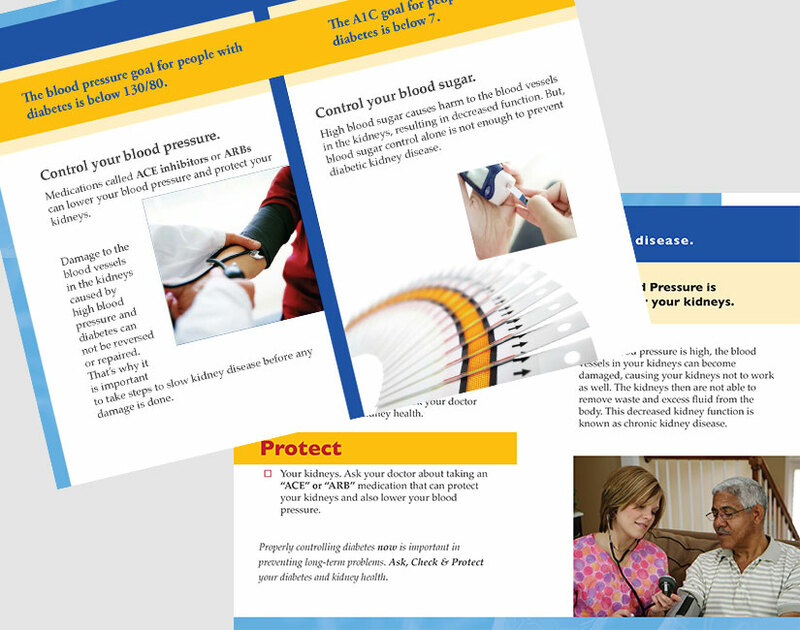 This patient education material (brochure) was given to healthcare professionals (e.g. physician offices and community centers) to give to patients to help them learn more about their disease.